Ballet BC is Vancouver's premiere contemporary dance non-profit organization and internationally acclaimed contemporary ballet company. Ballet BC has toured all over Europe, USA and Canada. 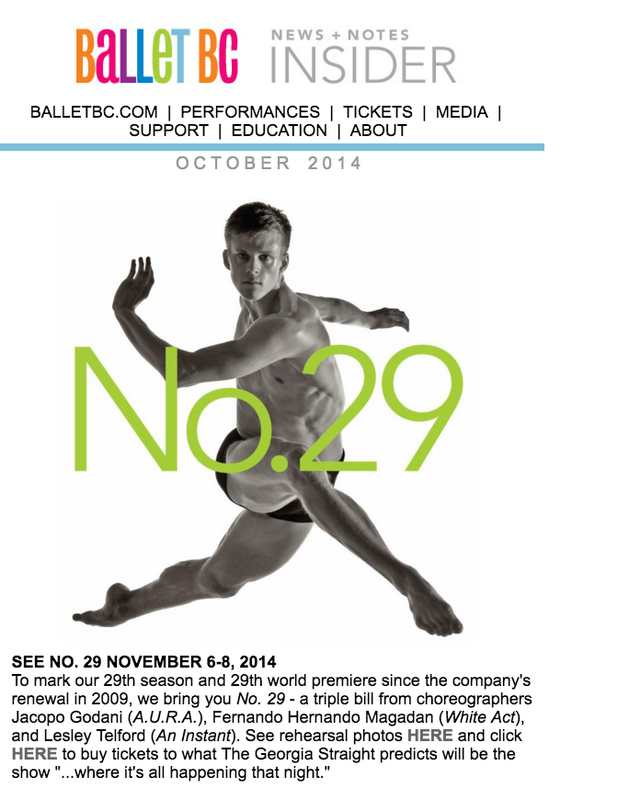 I was the Digital Media Strategist at Ballet BC from June 2013 - February 2015. Here's what I worked on. > Developed, managed and executed strategy for digital campaigns including social media, emails and online web presence. > Launched original @balletbc Instagram account. Initiated a 30% organic increase in unique visitors to website and tripled the social media following over 1 year. > Designed and launched company blog and monthly email newsletter "INSIDER" with average open rate of 30%. > Created content for website, blog, emails, ads and other marketing materials. > Managed successful projects including: flash mob, blog, newsletters, Instameet, live Tweeting sessions, audition campaigns and student rush tickets. > Media outreach to local, national and international digital media outlets. > Measured paid digital campaigns and monitored digital spend. > Managed photographers during performances at the theatre and during rehearsals. > Identified and developed new alliances, partnerships, sponsorships including: Hawksworth, Eastwood Cycle, Yaletown BIA, Dance Magazine, Montecristo Magazine and Vancity Buzz. > Worked with Development team on sponsorships and proposals including Annual Silent Auction. > Managed Ballet BC Up, Ballet BC's Young Professionals Program. Worked with Board, Development Manager and Executive Director on strategy, created digital and print marketing materials, solicited and interviewed Committee members and planned events. > Executed "Behind-The-Scenes" campaign with Instameet Vancouver resulting in reach of over 162k. > Managed Ballet BC's special appearance at Outdoor Movie In The Park, "Footloose." 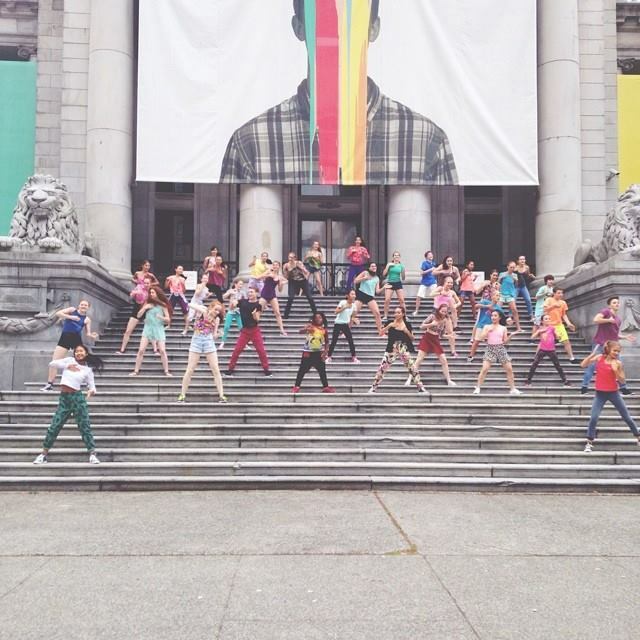 > Planned and managed "Happy" flash mob with Yelp Vancouver and Arts Umbrella at Vancouver Art Gallery. > Collaborated with Sarah McLachlan’s digital team to promote sales of Alberta Ballet’s “Fumbling Towards Ecstasy” show in Vancouver.